Discussion in 'Domains, DNS, Email & SSL Certificates' started by Jota, Jul 22, 2017. I tried this in different Centmin mod servers, and always getting same issue. When I do create a WP site with let's encrypt enabled, all works fine, but any kind of problem with SSL, I always get SSL Connection error on Pingdom tests. Seems a root or CA issue, but don't know how to fix this. I do have latest centmin mod beta just installed a fresh box 2h ago, centos 6.9 fully updated, openvz VPS. @Jon Snow is getting same issue with pingdom https://community.centminmod.com/threads/pingdom-reports-ssl-error-but-site-works-fine.12320/ could be a pingdom issue ? Pingdom uses very old Chrome 39 browser for those tests so could be not supporting ssl ciphers in Nginx ssl configuration ? Disabling IPv6 worked for me since SSL was properly installed according to the tools I used to check. Pingdom's test should work fine after. 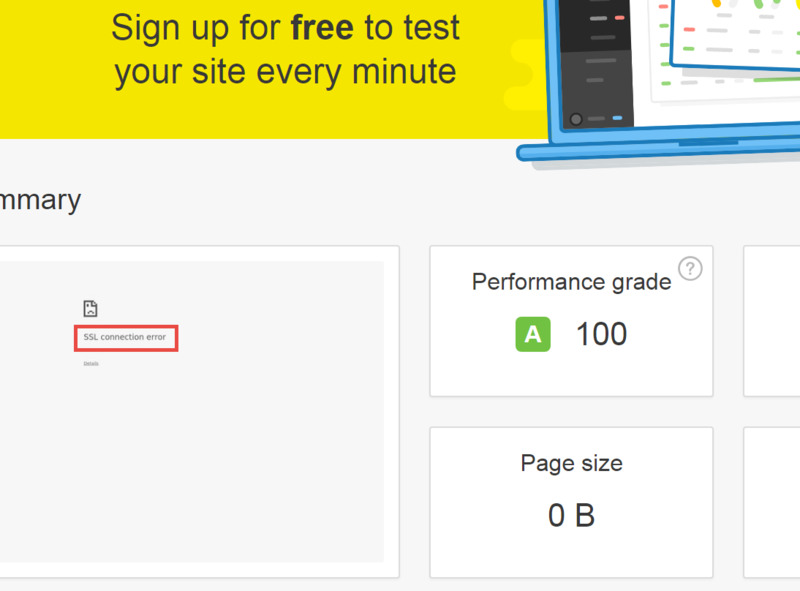 tested site with gtmetrix.com and webpagetest.org as well ? Rest of sites load fine, I also can access and manage WP admin panel with SSL without any issue. But I've been seeing this just with centmin mod, and I tested on different servers, always same issue. Anyone can help please ? thanks ! There's just SSL conf file, as I installed it. still having pingdom test issues ? Yes, still having this issue. But I'm sure this is happening anyone using centmin mod + let's encrypt, coz I tested same thing on multiple fresh test centmin boxes and always same problem. all on same server/web host or some different servers or different web hosts ? I haven't run into this once yet myself. I tried this SSL tests on multiple fresh VPS servers on multiple and different providers / nodes (tested in our nodes, in Vultr, in Digital Ocean) .... always same problem. Even with a fresh clean WP site, always same problem. So weird ..... I'll try ur suggestion soon, let's see. Hey ! seems that this one worked ! Yay ! Thanks a lot !!! oh i see.. looks like I need to change default ssl_cipher list then Beta Branch - update nginx default ssl_cipher configuration ! I noticed that the old ssl_ciphers vs. the new ones lack a lot of the ! entries. Should those be included? It appears only !DSS is on the new list.